It’s basic German sentences featuring Kieron in the supermarket. We hope that the vocabulary will help you in your daily adventures in Germany. 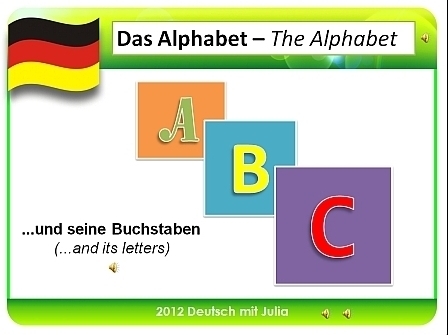 Please enjoy and don’t forget: Learn German with fun, learn German with success, learn German with Julia! 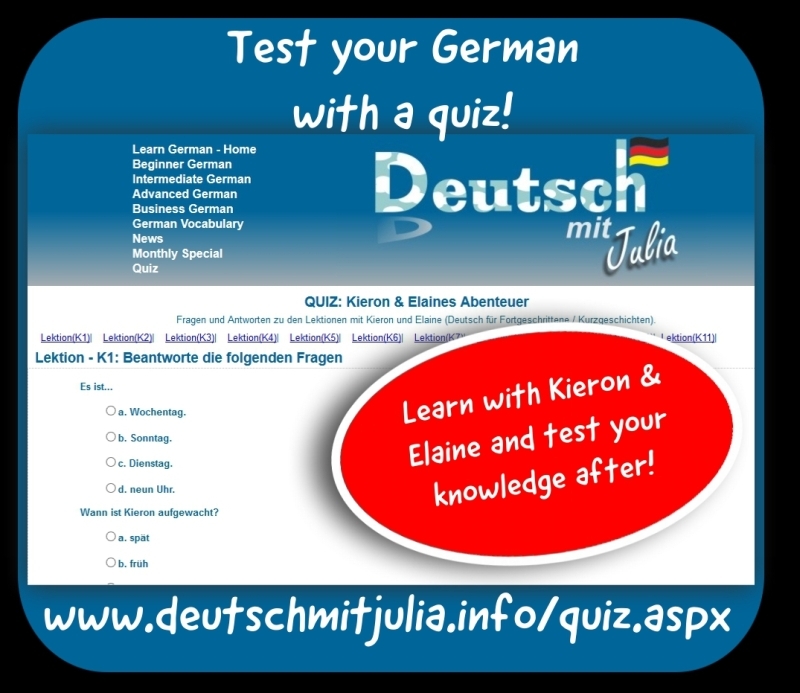 Do a quiz to test your understanding after a lesson with Kieron and Elaine! You can now do a little online quiz after the first 12 lessons of with Kieron and Elaine. We hope you will enjoy this! 2014 in review – Vielen Dank an alle! DMJ has a new website! – ‘Deutsch mit Julia’ hat eine neue Webseite! Hello, please click here to get to the new website! Hallo, bitte hier klicken, um zur neuen Seite zu gelangen!